(CNN) -- Get ready to hear that voice, hear that sound -- like thunder gonna shake the ground. Confirming rumors that had been around at least since last month, the NFL said Sunday that Katy Perry will headline the next Super Bowl halftime show. Following in the show-stopping dance steps of Bruno Mars from this year might be a tall order. But Perry says she's already planning her own fireworks. The NFL has confirmed the rumors that Katy Perry is going to lead the 2015 Super Bowl halftime show. 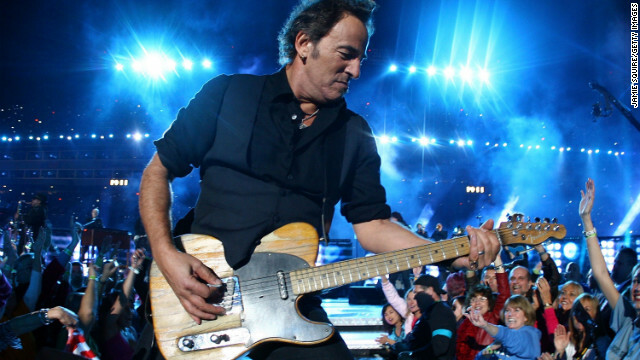 Here are some of the memorable Super Bowl acts she would follow, both good and not so great. 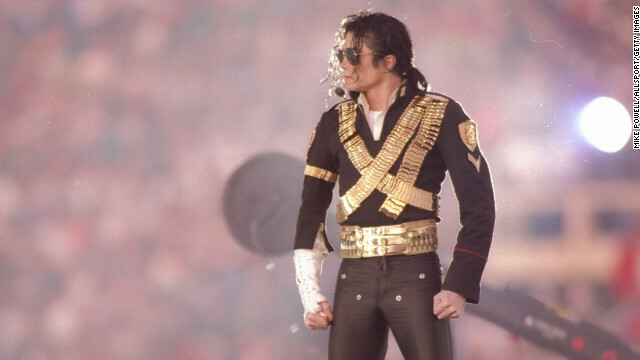 Thanks to Michael Jackson's game-changing 1993 performance, during which he sang hits including "Black or White" and "Billie Jean," Super Bowl halftime shows became as significant a draw for viewers as the football game itself. Britney Spears, Aerosmith, 'N Sync, Mary J. Blige and Nelly put on an entertaining show in 2001, performing hits like "Bye Bye Bye" and "I Don't Want to Miss a Thing," but it was the big finale where the entire group sang "Walk This Way" that puts this performance into the halftime hall of fame. 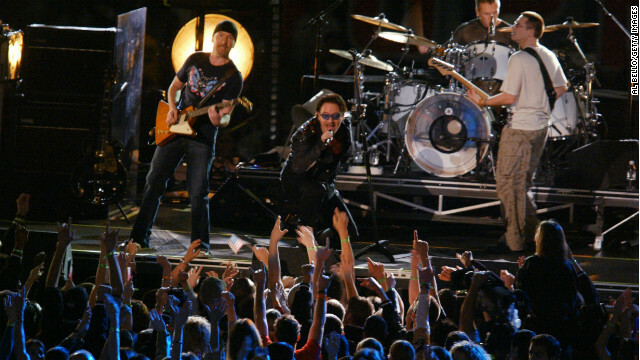 At the first Super Bowl after September 11, U2 performed a tribute to those lost in the attacks. As the band played "MLK," the names of victims appeared on a screen. The show ended with a stirring version of "Where the Streets Have No Name," and Bono revealing the American flag in the lining of his jacket. 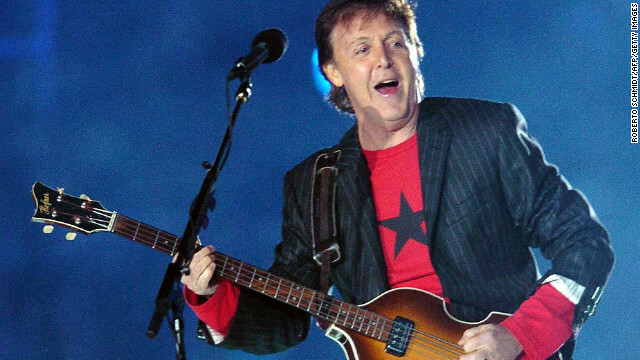 After Janet Jackson's "wardrobe malfunction" the year before, Paul McCartney's 2005 performance was a show everyone could get behind. McCartney took the stage to play fan favorites such as "Live and Let Die," "Drive My Car" and "Hey Jude." 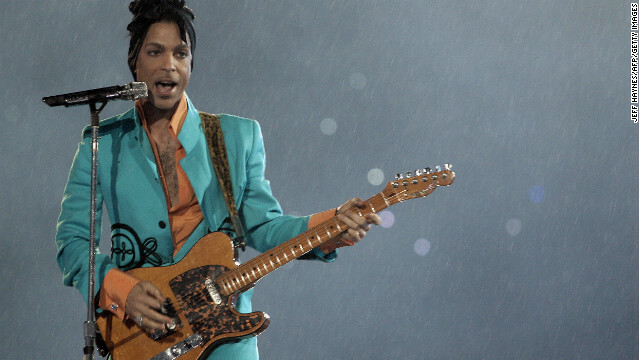 In addition to his own hits "Let's Go Crazy," "1999" and "Purple Rain" (in the rain), Prince used the 2007 halftime show to masterfully weave in other artists' classics such as Queen's "We Will Rock You," Creedence Clearwater Revival's "Proud Mary" and Bob Dylan's "All Along the Watchtower." Bruce Springsteen and the E Street Band took the stage in 2009, the same year he released his 16th studio album, "Working on a Dream." He urged viewers to "put your chicken fingers down and turn the television set all the way up" before launching into hard-rocking hits such as "Born to Run" and "Tenth Avenue Freeze-Out." Beyonce's performance at the 2013 Super Bowl was of epic proportions. The superstar blew through her greatest hits and landed each dance move, even bringing out her old Destiny's Child groupmates, Kelly Rowland and Michelle Williams, for a quickie reunion. We are not exaggerating -- or speaking on behalf of Kanye West -- when we say this was one of the best Super Bowl halftime performances of all time. 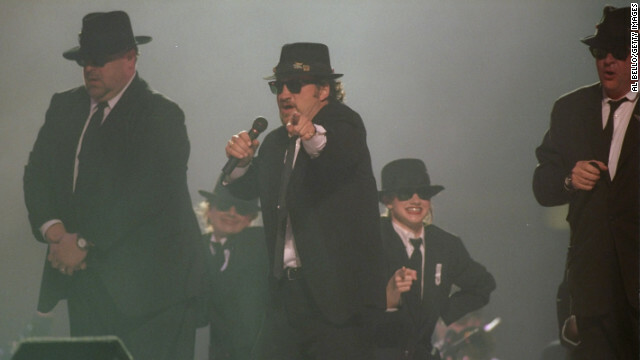 In 1997, Dan Aykroyd, John Goodman and Jim Belushi performed as the Blues Brothers. 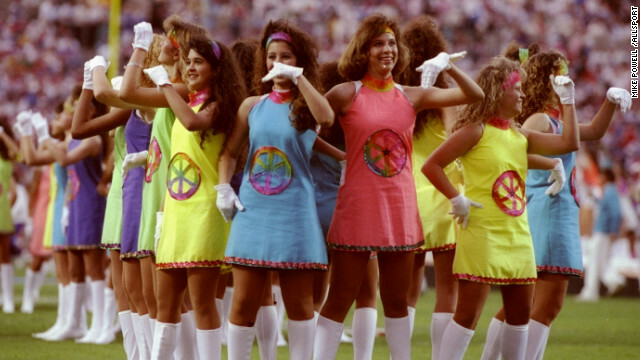 The men looked like they were having a blast, but it was one of the weakest halftime shows to date. 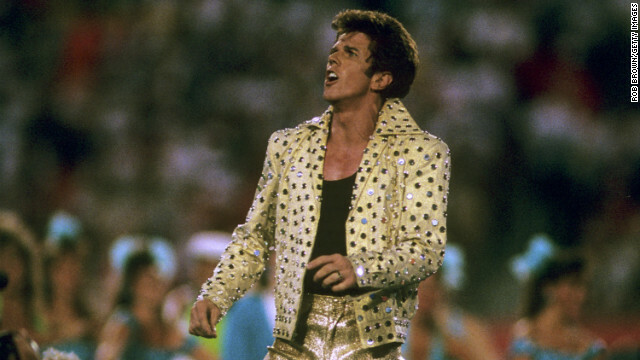 In 1989, Elvis Presley impersonator Elvis Presto took to the Super Bowl stage in head-to-toe gold lame to perform "the world's largest card trick" among a bevy of Solid Gold dancers. Talk about a family-friendly halftime show. Mickey Mouse and a bunch of children opened for New Kids on the Block in 1991. NKOTB, who performed "Step by Step" and "This One's for the Children," can't be held accountable for landing on this list. They did the best they could, considering the large number of actual kids on their block. In 2000, Christina Aguilera, Enrique Iglesias, Phil Collins and Toni Braxton performed in another Disney-themed halftime show. The concept was "Tapestry of Nations" and included a song called "Reflections of Earth" and narration by actor Edward James Olmos. Need we say more? The 2011 halftime show showed promise. The crowd was pumped as the Black Eyed Peas entered from the ceiling, but once they hit the stage, things fell apart. Not even hundreds of dancers clad in glowing green lights could save this performance. In 2004, Janet Jackson, Diddy, Nelly, Kid Rock and Justin Timberlake put on quite a performance for viewers -- although it doesn't much matter what they sang, since the show will be forever remembered for Jackson's "wardrobe malfunction." Not so great: Where is the love? "I've got some insane ideas this year," she said in a video posted soon after the announcement. "What if we covered the stadium with glitter? "But the glitter ... was edible." Last month, New York Post's Page Six and Billboard reported that Perry was preparing to shine at Super Bowl XLIX, set for February 1 in Glendale, Arizona. It's not hard to see why the NFL would want to pursue Perry. Here are three reasons why we think she'll kill it. Katy Perry's music is essentially the stuff Super Bowl halftime dreams are made of. Much of her catalog is high-energy, danceable pop that's just cheeky enough to be entertaining without losing a sponsorship. And she has a backlog of hits to choose from: There's "Birthday" and "Roar" from her 2013 release "Prism," plus older but still-in-rotation tracks like "Firework," "Peacock," "California Gurls" and "I Kissed A Girl." In 2011, Katy Perry tied with Michael Jackson -- not bad company -- with five No. 1 singles from the same album. You don't accomplish that without some serious fan power, young and old. And when we say young, we mean young: "Dark Horse" has been known to soothe at least one baby. One of the things critics took away from Perry's 2012 concert documentary, "Part of Me," is just how much work goes into a Perry performance. From the costumes to the set pieces, Perry creates her own whimsical wonderland -- as anyone who's seen one of her videos can attest. We can only imagine the kind of creation that would accompany a Super Bowl halftime show.